With the majority of Australia’s population living along the coast, the management of coastal groundwater resources is becoming ever more important. Recent research of groundwater systems at the land–ocean interface has clearly shown the importance of acknowledging the connectivity between onshore and offshore parts of coastal aquifers. This information is necessary to understand and predict the movement of groundwater and its dissolved solutes across a range of spatial and temporal scales. Coastal aquifer systems do not terminate at the coastline, and nor is the coastline fixed in time. Past changes of sea level and coastline migration still have an influence on the groundwater salinity distribution today. This presentation reviews the current state of the science, and explains the need for more research on the offshore parts of aquifers, which may contain significant volumes of exploitable groundwater. "Let's be slow, cautious and thoughtful about it this time and show how we can act responsibly if in fact the economics do stack up for the use of some of these aquifers." and have been rushing to gather evidence in support of their respective claims. Some time this week, Canada is expected to make its case to the world to dramatically expand its boundaries by an area equivalent to the size of all three Prairie provinces. Canada's deadline is Friday to apply to a United Nations commission for exclusive rights to what is likely to be another 1.7 million square kilometres of Arctic seafloor. The application under the Convention on the Law of the Sea will be the culmination of a decade of work and more than $200 million in public money. The lines on the map will have been drawn by scores of scientists working everywhere from Ottawa labs to ice camps off the northern shores of Ellesmere Island, peering under the stormy black waters to discern the shape and composition of sea floor thousands of metres below. 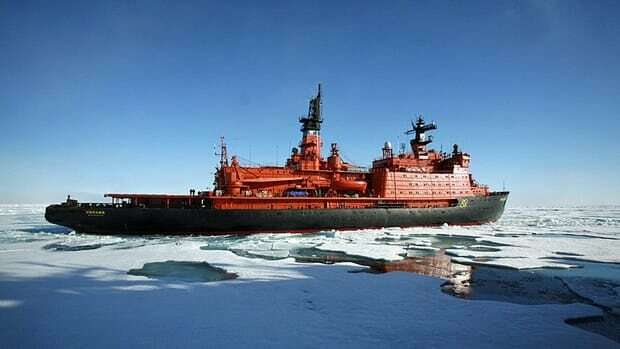 The effort required more than a dozen icebreaker voyages, as well as trips by helicopters, airplanes and an unmanned, remote-controlled submarine that spent days under the ice. The effort to map the Arctic seafloor required more than a dozen icebreaker voyages, as well as trips by helicopters, airplanes and an unmanned, remote-controlled submarine that spent days under the ice. With the co-operation of three Arctic neighbours — Denmark, Russia and the United States — more than 18,000 kilometres of sea-floor data was collected from a part of the globe less familiar than the surface of the moon. "It was a huge effort and enormously challenging," said Michael Byers, an expert on Arctic and international law at the University of British Columbia. 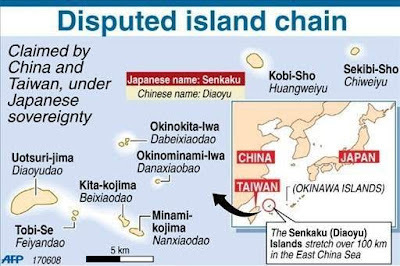 The United Nations Convention on the Law of the Sea governs which nations exert what kinds of controls over their surrounding waters. 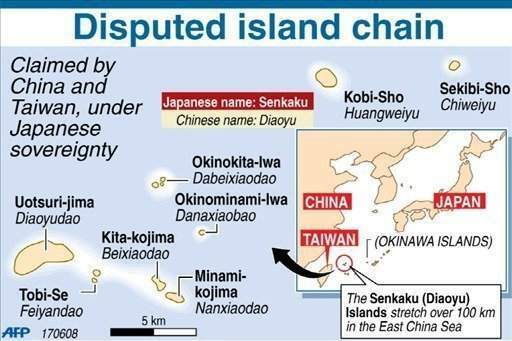 In addition to the 22-kilometre territorial waters and the 370-kilometre exclusive economic zones, coastal countries are allowed to claim additional sea floor if they can show their continental shelf extends beyond the economic zone. A Canadian nautical map charts the Canadian coastline in Nares Straight which separates Ellesmere Island with Greenland. 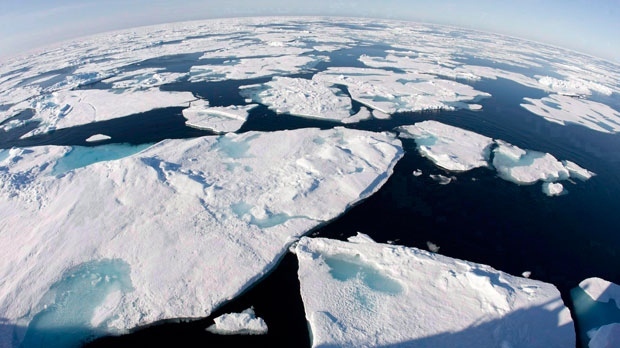 Canada is to file a claim to expand its Arctic seafloor boundaries this week. Canada has previously released maps on the likely boundaries of its claim. Russia filed its claim in 2002 and Denmark released its last week. The U.S. has not signed the convention, but has agreed to follow most of its articles. 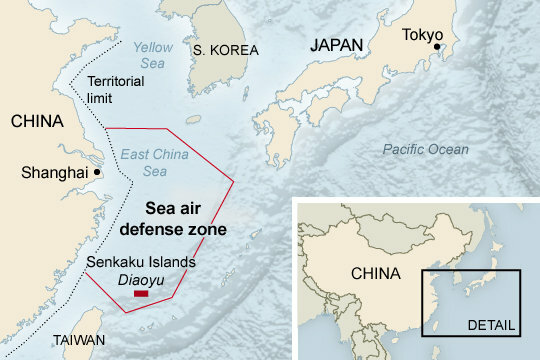 Its boundary dispute with Canada involves the exclusive economic zone and doesn't directly impact Friday's claim. Ice floes float in Baffin Bay above the Arctic circle from the Canadian Coast Guard icebreaker Louis S. St-Laurent on July 10, 2008. Conflicts are likely to be few. One calculation puts the amount of overlap between claims at a mere 75,000 square kilometres out of millions and millions. Rob Huebert, an Arctic expert at the University of Calgary, will be watching to see if Canada stretches its claim past the North Pole. The geologic justification — an undersea mountain range called the Lomonosov Ridge that stretches north from Ellesmere Island — is there, he said. "I don't think there's something magical that stops [the claim] at the North Pole," he said. Canadian officials have acknowledged mapping flights over the top of the world and into Russia's claim, which does stop at the pole. But Byers said there's no evidence that Canada has collected the kind of data it would need to challenge Russia. "We may have some small overlaps in the middle, but for the most part there will not be any overlap between the Russian submission on the one side and the Canadian and Danish submissions on the other," he said. It all depends on how valuable Canadian officials think that real estate is, said Huebert. "[But] it means we didn't go as far as we could." Whether or not Canada will claim the North Pole, a decision on its fate is still probably 20 years off. Just checking the science on Canada's claim will likely take five years, said Huebert. And there isn't any particular rush, said Byers. These claims cover some of the remotest and harshest points on the planet and commercial exploitation of resources is a long ways off. But just getting to the point where countries have filed claims is a triumph, he said. "In this former Cold War frontier we have an agreed set of rules. That has a huge payoff." Join research oceanographer and photographer Dale Stokes for a global photographic journey featuring ships, submarines, underwater habitats, and both poles. This presentation includes a decade of images documenting exotic locations underwater and topside and a variety of unusual vessels and research instruments. Mountains of water are rolling towards us, covered in an army of huge breaking waves. Winds hitting 75mph are blowing the surface of the ocean away, and whatever is left is white with foam. The ship is facing directly into the wind, riding over the top of it all, juddering and bumping as it clings to the place where the sea touches the sky. On the bridge, the chief scientist is grinning as though all his Christmases have come at once. After four years of planning, this has turned out better than we dared hope. All that violence outside means that the ocean is doing something important – taking a really, really deep breath. And we are here to study it. I like living on ships. A ship is a little floating village, a temporarily self-sufficient sliver of human society. The ocean is not our habitat, but it's amazing how much a steel bubble can help you live in denial. This particular glorified tin can is the R/V Knorr, an 85-metre research vessel carrying 20 crew and 12 scientists. For six weeks, the ship and everything inside her is all we've got. A couple of weeks ago, the chief engineer prowled though the main lab, then pounced on a small cardboard box holding tools. The explanation came in a slow Boston drawl: "D'you mind if I take my box back? Boxes are rare around these parts.
" He removed the tools and disappeared into the bowels of the ship, clutching his cardboard box. On land, nothing comes cheaper than cardboard. On a ship, a box matters. The one thing we're not short of is ocean. We are in the north Atlantic, hundreds of miles from land. There is nothing to look at except water and sky, and what we see would be familiar to any seafarer in history. But we are here to study something that was invisible to them, even though it was right in front of their noses. Around this ship, all the time, the ocean is breathing. My lungs and yours have a huge area – 70 square metres – and that surface helps you to take oxygen from the air and give back carbon dioxide. What I can see from the top of the ship is the lungs of the ocean, the vast but thin layer right at the top of the sea. Oxygen, carbon dioxide, nitrogen and lots of other gases travel both ways across that boundary all the time. The view from the Knorr when the what was called the St Jude storm in Britain hit. Most importantly, about a third of all the extra carbon dioxide humanity puts into the atmosphere is being sucked up by the oceans. This area is one of the places where it is breathing in. Calm ocean isn't very efficient at breathing, but when the wind blows, the surface becomes more turbulent and breaking waves and bubbles vastly increase the surface area. As the wind blows faster, the ocean breathes more deeply. Even a single storm is disproportionately important. Understanding these storms means a better understanding of our planet, and a better ability to predict weather and the implications of changes to our climate. So here we are, bobbing about on the lungs of the ocean. Gravity is untrustworthy on a ship in bumpy seas. We tend to take the "downwards" nature of gravity completely for granted, a reasonable approach in most circumstances. But out here, it's fickle. In the shower, you have to chase the shower flow around, because it keeps falling in different directions. I haven't stood a shampoo bottle up for weeks because there's no point. The only way to be sure something will be there when you get back is to make it a prisoner, with tape, straps, Velcro, string and whatever else you can find. Electronics, computers, tools and books must all be captive, and only the human beings float free. Tasks like fixing electronics seem to take forever. First you wedge yourself against the bench so you're steady enough to hold the screwdriver in the right place. Then, at the crucial moment, the ship bumps and the tiny fiddly screw that was the object of your attention will make an enthusiastic aerial bid for freedom. Gathering the escapees is like herding cats, and then you have to start all over again. On the brink: Helen Czerski working on the deck of RV Knorr. I know you won't believe me when I say this, but one problem we don't have is seasickness. Most people who do feel nauseous get over it completely within three or four days. It's common to feel drowsy for longer than that, but it's hard to separate that from the semi-permanent sleep-deprivation. Floating is quite a nice feeling, until you arrive back on your bunk with a thump. My cabin is in the middle of the ship, so I don't get to float quite as much as some, but I still have to wedge myself in so that I don't slide up and down the mattress as the ship rolls. Some mornings even the night owls turn up to early breakfast, after the nights when they gave up pretending to sleep. But there's a good reason for putting up with all this. We are a large collaborative scientific team, essential because there are so many interconnected features to measure. We have two "nostrils" on the ship – one above and one below the waterline. They're sniffing the air and water for carbon dioxide and other trace gases so we can work out how much is going in to or out of the ocean at each moment. 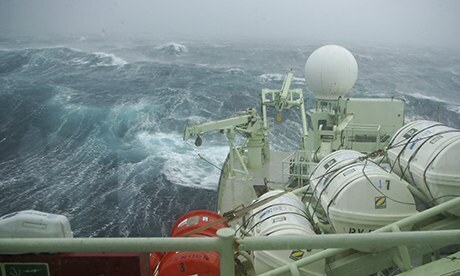 Buoys float close to the ship to measure the precise details of the waves. 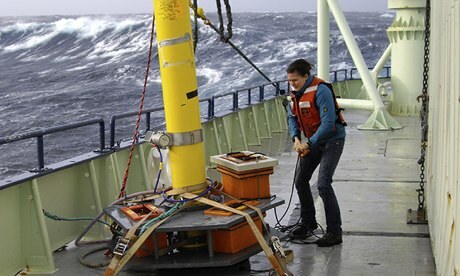 My contribution is attached to the biggest buoy of the bunch: it's the suite of instruments that are spying on the millions of bubbles beneath the surface. The bubble buoy is 11 metres long and weighs about half a tonne. Getting it safely on and off the ship takes two cranes, about eight people and a lot of shouting from the bosun. But when it's floating out in a storm, it looks very small. Anyone can see the foam patches left on the surface by breaking waves, but this buoy lets us see what's hidden just underneath. Breaking waves will leave behind bubble plumes that could be many metres in size, and each bubble has the potential to transport a tiny puff of gas up or down. It still astonishes me that such minuscule things can make a contribution to how our planet works. But there are billions of them, and they do. Splotches of colour on weather maps dictate our lives. Storms cross this part of the ocean from east to west every few days, and each one will take a couple of days to pass over us. Each morning, after my 10-second commute, the first task is to look at the ship's intraweb to see where we are. It doesn't make much difference, but I feel the need to look anyway. Then I check what day it is. That doesn't make much difference either, but it seems important to know. Then I get to the weather forecasts, which do make a difference. Blues mean low winds, and red is high. Two weeks into the trip, a storm with a fuchsia-pink centre appeared to the east. Bright pink like that is on its way off to the top of the wind speed scale. While it was still calm, we put the buoy in the water, packed away almost everything, strapped down whatever was left, and waited. The night before the height of the storm, no one slept. At breakfast, clutching the table and his coffee, the chief scientist was gleefully repeating "65 knots!" over and over again. Even the bosun admitted that it was "blowing a bit". I spent the morning on the bridge, looking out over seas that were fiercer than I had ever dreamed possible. The average waves were 10 metres high, the highest 15 metres, and I just couldn't stop looking. When it arrived in the UK three days later, this became known as the St Jude storm. Being able to measure in these conditions felt like winning the lottery. We have a huge amount of very valuable data from the rest of the trip, but this was a first glimpse at the effect of the strongest winds of all. The ocean has been kind to us, in a tough love kind of way. I've been on this ship for 35 days, and we will arrive in port tomorrow. I'm bruised from the bumpy ride, yearning for a good night's sleep (preferably with a proper duvet) and fidgeting from cabin fever. I can't wait to walk on solid ground, and to go swimming and running again. But it's been worth it to be immersed in the environment out here, and to spend time on the other surface of our planet, the one that flows and splashes and never stays still. The vast blue of our blue planet is so easy to forget when you live on the land. But it's always out there, and this trip has reminded me of how dynamic, how beautiful – and how important it is for the Earth. Millions of people take cruises each year; but when their cruise ends, they usually return to their homes on land. Wouldn't it be great if there were a cruise that never ende­d? That's the basic idea behind a new ocean vessel called Freedom Ship. Unlike a cruise ship, Freedom Ship will be a floating city with permanent residents. The ship will circle the globe every two years and offer everything available in your hometown, including a hospital, college and one of the world's largest shopping malls. Freedom Ship will most likely become a home for the rich and famous. Suites start at $121,000 for a 300-square-foot room and go up to $11 million for a 5,100 square foot suite on the ship's exclusive 21st floor, where prices start at $3 million! If you've ever wanted to live on the open sea and see the world, check this out. No cruise ship that has ever been built can compare to the enormity of Freedom Ship. Imagine a mile-long stretch of 25-story-tall buildings in New York City; now imagine that floating on the water. If you can picture that, then you get the­ general idea of Freedom Ship's size. At 4,320 feet (1,317 meters) long, 725 feet (221 m) wide and 340 feet (103 m) tall, the ship is taller than the length of a football field and wider than two football fields put together. And not only can a ship that size float on water, but it may be navigating the world's oceans as early as 2005. Freedom ship will be a mile long, more than four times the length of the Queen Mary II. Freedom Ship will dwarf any ocean-going vessel operating today -- it will be more than four times longer than any current cruise ship. Freedom Ship will be built on top of 520 airtight steel cells that will be bolted together to form a sturdy base. Each cell will be 80 feet (24 meters) tall, between 50 and 100 feet (15 and 30 m) wide and between 50 and 120 feet (15 and 37 m) long. These cells will be assembled to form larger units that are about 300 x 400 feet (91 x 122 m). These larger units will then be taken out to sea, where they will be put together to form the ship's nearly mile-long base. The rest of the ship will be constructed on top of this base. Norman Nixon, who developed the idea of a floating city, has said that it will take about three years to finish the ship once construction begins. It will take a tremendous amount of engine power to push the gigantic ship through the water. The vessel will be equipped with 100 diesel engines that can generate 3,700 horsepower each. Developers project the cost of each engine to be about $1 million. That may give you an idea of how expensive the project is, although the total cost of Freedom Ship has not been released. The ship's high construction cost will be passed on to residents, who will pay up to $11 million to purchase living space on the floating city. In the next section, you'll find out what these residents will get for such a price. Freedom Ship will have 17,000 residential units and will be home to more than 60,000 people, including residents and all of the personnel that will be required to maintain the ship. The floating city will continuously circle the world and will travel to most of Earth's coastal regions, offering residents the ability to see the entire globe without leaving their home. All of the ship's employees will be given food, housing, uniforms, medical and dental care and a continuing education program. For those who can afford to live on Freedom Ship, the most attractive feature may be that it has no local taxes, including income tax, real estate tax, sales tax, business tax and import duties. However, residents will have to abide by federal tax laws in their home country. For entertainment, residents can visit one of the many restaurants, casinos, nightclubs and theaters. Residents will also enjoy tennis, basketball, bowling, putting greens, swimming pools, gyms, a skating rink and fishing from the ship's marina. Each home will have 100 channels of worldwide satellite TV channels and local programming from nearby countries. Internet access will be available in each unit. This giant vessel would absolutely dwarf every other ship on Earth easily. Just like your own hometown, Freedom Ship will have a security force onboard that will patrol the ship at all times. In addition, the ship's entire crew will receive security training. An electronic security system will be installed to offer further protection to residents. In addition to all of these benefits, Freedom Ship will also be environmentally friendly, according to its developers. There will be no sewage treatment plant and no sewage to spill. The ship will use incinerator toilets, which cost about $3,000 apiece, to burn all sewage. The ashes will be put in the flower beds. Waste oil will be burned in an exhaust steam plant to generate electricity, instead of being dumped in the ocean. All used glass, paper and metal will be recycled and sold. Freedom Ship International estimates that each resident will produce 80 percent less waste on the ship than at his or her current home on land. GeoGarage blog : The gas platform that will be the world's biggest 'ship' / Ocean living: A step closer to reality? Timmy Brennan is a New York iron worker who escapes the grind of the city through his true passion, surfing. But when Superstorm Sandy destroys his home in Breezy Point, Timmy loses everything — including his board. As Timmy digs through the ruins of his home day after day, trying to recover lost possessions, he discovers the kindness of strangers and finds solace once again on the ocean.